Which of the characters believe that they are “good men”? How do they each define “goodness”? Does their self-analysis remain consistent throughout the story? If not, what seems to affect this? 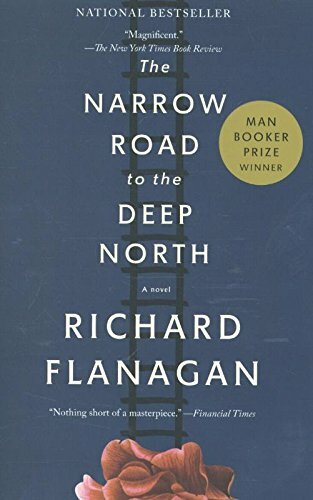 Does Flanagan provide us with a clear sense of who is “right” and who is “wrong” in the story—or who is “good” and who is “evil”? Can we draw any conclusions at the book’s end about what it ultimately means to be a “good” person? 2. Consider representations of good and evil, of man as philosopher-poet and man as animal, of the public and private self. Does it seem to be possible for man to resist this dual nature? Does the novel indicate whether man can choose which side of his dual nature prevails over the other or is this beyond man’s control? 3. What does this railway represent to the Japanese people and their leader? Why are they so devoted to its construction that they can be driven to violence and murder to ensure its completion? 4. The passages that feature Nakamura after the war reveal his struggle to understand himself and his past actions. Does he believe that the violence he committed or ordered was justified? What conclusion does he come to at the end of his life? 5. Who in the novel can be defined as a hero and what are some of the heroic actions depicted in the book? Are some of the characters more naturally suited to be leaders or is the role of leader or hero one they assume only because it is demanded of them? What proof do we find of this throughout the novel? 6. Flanagan also chose to incorporate poetry by Basho, Issa, Tennyson, and others throughout the text in epigraphs and excerpts. Why might he have chosen to utilize poetry in this way? 7. What messages does the novel impart about war and its aftermath? How do the former POWs respond to their new lives after the war is over? 8. What is the significance of Charon’s circle death poem at the start and the conclusion of the story? What does the circle represent and how does Dorrigo come to understand its meaning?